Happy Mother's Day! Gift Cards Are the Best Gift! This Mother's Day, give the gift of a luxury spa experience. Massage therapy is an excellent way to improve your overall health and wellness. Improve the radiance and smoothness of your skin with a facial treatment. Whether you desire a cut, color, or styling, our talented hair stylists have you covered. Enjoy the relaxation and overall feeling of wellness that comes with a visit to Centre Spa’s luxury day spa in Portage. From our high performance facials and exfoliating body treatments to massage therapy, manicures and pedicures, the team at Centre Spa & Wellness will make your day spa experience one to remember. Click learn more below to view our luxurious spa packages! 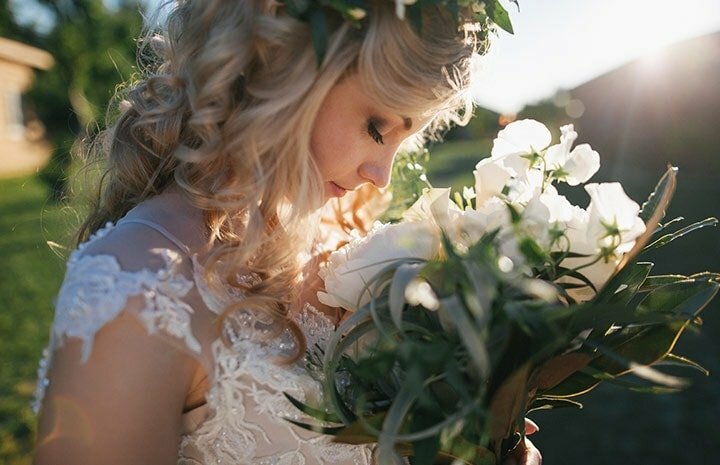 The team at Centre Spa & Wellness has years of experience providing brides with bridal hair and bridal makeup services in Kalamazoo and beyond. We know how important your wedding day is and want to help you make sure it is picture perfect. Available at our salon and on location, our hair and makeup artists will work with you to come up with a look that fits you perfectly and lasts all day and night. Click learn more below to view our bridal services page! Welcome to Centre Spa & Wellness, where we encourage you to “find your Centre” at our new destination luxury day spa, hair salon, and wellness center. Our full-service spa offers an extensive selection of services, including massage therapy, wellness counseling, makeup services, and manicure and pedicure treatments. Covering our guests’ basic needs and luxurious wants, our 5,850 square-foot upscale spa features a relaxing environment, top-notch guest assistance and services delivered by an experienced team of the area’s best stylists, estheticians, and massage therapists. In addition to the best spa treatments in Portage, we carry a number of premium product lines, including Aveda, Pevonia, and Bumble and bumble. This unique combination of high-quality products and first-rate spa services positions Centre Spa & Wellness as the area’s best salon and spa. Driven by our mission to help our guests achieve a happier and healthier lifestyle, we strive to exceed our customers’ expectations and, most importantly, help them find their Centre. Our website has been completely redone! We hope you find it attractive, user-friendly, and informational. Come join our team! We are looking for a Spa Coordinator and a Licensed Massage Therapist! Give the gift of relaxation with a gift card to Centre Spa! An absolutely beautiful establishment. Very kind and helpful staff. I felt very pampered and taken care of. I'd recommend this spa to anyone! Just had a awesome massage with Lydia! Thanks for the relaxing hour in the middle of my crazy week.